There are some very handy websites around for the weather! The ones we use most frequently are listed below. 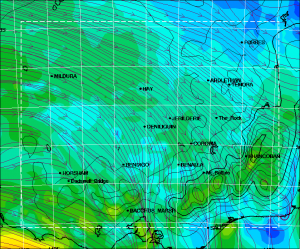 Sea Breeze is a very good for getting live readings of the wind stations at various points on the coast. Consequently, it’s mostly good for coastal flying. It also offers general predictions a week in advance. The Regional Atmospheric Soaring Prediction (RASP) is a great tool to see soaring predictions a day or two in advance. It can list the predicted cloudbase, cumulus cloud potential, surface wind, thermal strength and much more for every state. Keep in mind, the predictions have in the past have varied greatly to what’s actually happening but it’s usually pretty good. 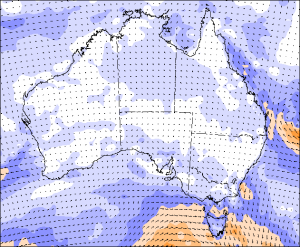 The Bureau of Meteorology (BoM) Wind Maps show predicted wind directions for all of Australia over the next 7 days. 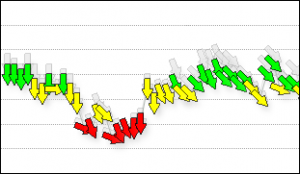 These predictions are frequently updated so it’s a good idea to keep an eye on a day as it approaches to see how the wind strength and direction develops. 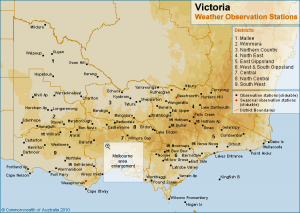 The Victoria Weather Observation Stations are a great way of checking exactly what the weather is doing at any one of the listed sites. Especially handy to confirm on the day how accurate a prediction is before you get to the hill.